Sandbox and Starter accounts won't see the Agents section as they can only have 1 user per account.If you don't have any Facebook Messenger or API-based channel integrated, you won't see the Channels section. Seats. 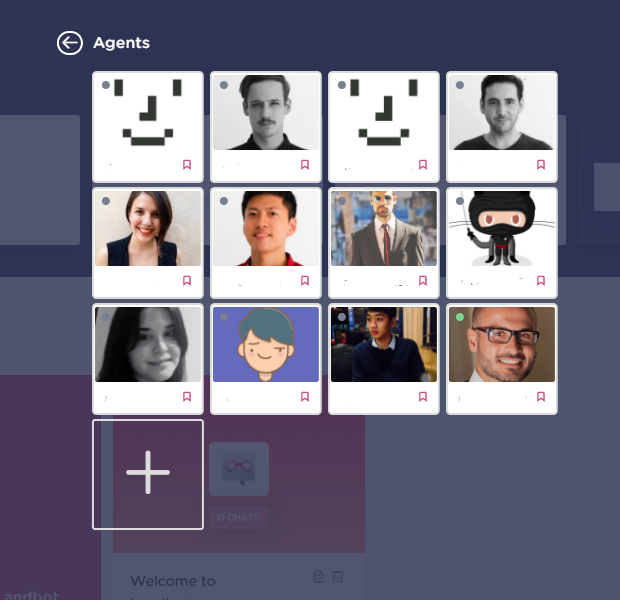 In Landbot platform, a seat - or agent - is the person who deals directly with the client in case of human interaction option is chosen by customers. The seats are the users of your company who have access to the platform to talk to users through the channels added. Edit. Make edits on the channel like its name or the chatbot flow linked to it. Delete. Delete the channel - and the chatbot associated - permanently. Share. Using Social Media and a specific URL, the same you find in the original Share section.